Registering with the Box Tops for Education as the site coordinator. Developing a series of promotional events (contests/raffles/parties) to encourage participation in the program and purchasing anything necessary for said promotions. Promoting the program to parents through Facebook, the Back-to-School Bash, an introductory letter, and monthly collection sheets. Submitting a weekly update to the PSO newsletter. Developing, copying, and distributing the monthly collection sheets to teachers; ensuring that collection sheets are also available on PSO website. 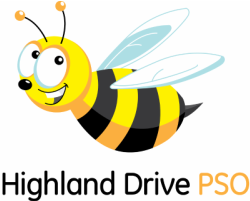 Communicating with the teachers and staff at Highland Drive about the monthly/quarterly prizes and promotions. Regularly collecting Box Tops that have been submitted from the school. Processing the Box Tops which includes removing expire Box Tops, tabulating them, organizing them, and logging them in (as needed) for the current promotion. Providing feedback to parents, staff, and students about winners and coordinating the distribution of prizes. Mailing the Box Tops to the designated address three times a year (prior to November 1st, March 1st, and at the end of the school year) and obtaining insurance for submission. Tracking expenses and submitting receipts for reimbursement from PSO Treasurer.